Weekly London afternoon tea news. Honest reviews. Deals and tips for enjoying the best afternoon tea in London. Find out where to enjoy the best hot beverages and sweet treats. Taste the best coffee. Hot chocolate. Cream tea and herbal teas that London has to offer. Plus the best cake. Pastries and most delicious desserts. Discover a traditional afternoon tea. Quirky afternoon tea. Gluten free. Affordable or luxury high tea in London's 5 star hotels. Cafes. Restaurants and bakeries. Book Your Afternoon Tea Today! London and afternoon tea go together like Paddington bear and marmalade sandwiches. Whether London is your home, or you're just visiting. You have to enjoy afternoon tea at least once. Below are the very best of 2018. This list has been personally comprised by yours truly. Taking into account the best afternoon tea London google maps ratings. Also the best London afternoon tea Instagram trends of 2018. Speaking from experience. The service, ambience and aesthetic appeal at the Savoy is very impressive. The Savoy is the only five star hotel on the river Thames. Also one of London's oldest and best luxury hotels. With a long list of teas to choose from. The Savoy even has its very own tea shop. Click here to read my review of afternoon tea at the Savoy. Peggy Porschen is a girly girls dream cake shop. The popularity of Peggy Porschen's afternoon tea is largely helped by their 2018 viral Instagram presence. Sketch is notorious for being home to London's most famous and one of the worlds most unique public bathrooms. Sketch houses two equally impressive afternoon tea rooms. One of which is the pretty in pink gallery room that you've probably seen circulating on Instagram. Read my review of afternoon tea at Sketch here. Afternoon tea in London's tallest building had to be on the list of best afternoon tea in 2018. With impressive views across London. Enjoy luxury afternoon tea at Ting. Alfresco afternoon tea on this pretty roof terrace is quite an experience during any season. As one of London's newer afternoon tea locations. The Dalloway terrace has been popular in 2018. You can still enjoy afternoon tea, snuggling up beneath soft blankets in colder months. Enjoy a luxury afternoon tea with a quirky twist at One Aldwych. It takes place in a five star hotel, so you can rest assured that this afternoon tea will be tasteful not tacky. One of London's longest standing and fanciest hotels. The Ritz have been serving one of the best afternoon teas for over 100 years and is still going strong in 2018! The Lanesborough has been rated one of the best 5 star hotels serving afternoon tea according to google maps reviews. Claridge's afternoon tea is one of the highest rated London afternoon tea's online, and in 2018 it doesn't look like Claridge's will be leaving the list of best afternoon tea experiences any time soon. Bisquiteers is a beautiful biscuit shop that also serves one of the best afternoon tea in London. The spectacular indoor garden at the Landmark hotel is a wonderful setting for one of London's best afternoon tea experiences. Which afternoon tea is the best in London? Leave a comment. I'd love to know. 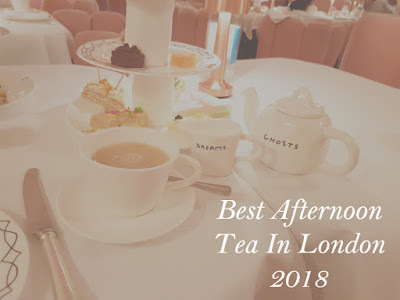 Found this best Afternoon Tea in London list useful? Subscribe to www.bestafternoonteainlondon.co.uk for afternoon tea giveaways. Special offers. London afternoon tea news, reviews and tips. All images and opinions on this blog belong to the owner of www.bestafternoonteainlondon.co.uk Copyright 2018 all rights reserved.